Fishermen in Several Places on the Struggle! Fisheries organizations of several areas in the island organised a protest yesterday (8th) against the difficulties faced owing to inactivity of the government. 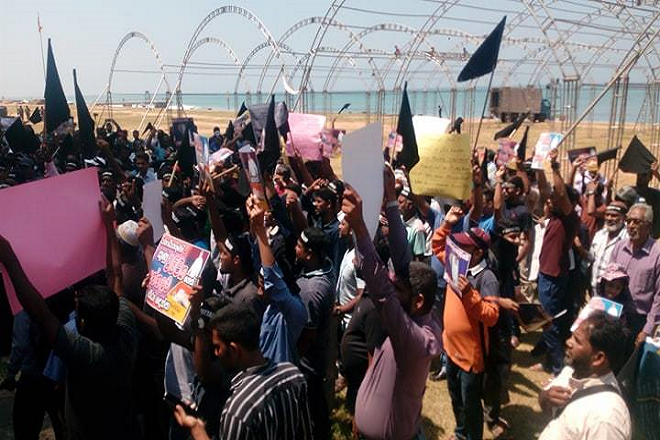 They engaged in protests as the government has permitted several multinational companies for fishing in Sri Lanka’s maritime zone, fuel subsidy, and ice rising. 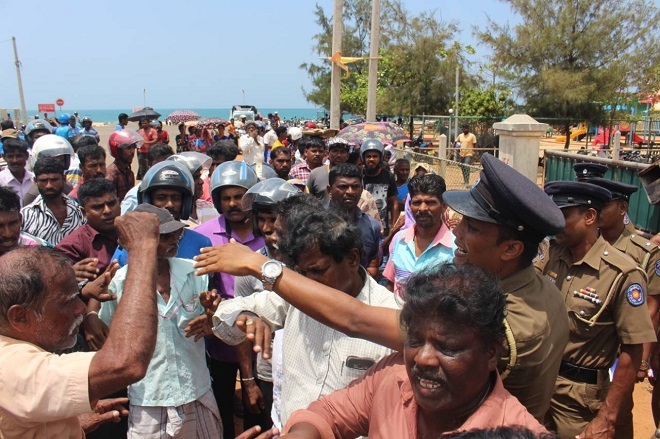 The fishermen in the Puttalam and Negombo districts engaged in a protest while blocked the Colombo-Chilaw main road, the Further protest was held in front of Galle fisheries harbour and the Kalmunai-Akkaraipattu main road blocked with boats at Adalachchena divisional secretariat office. The rise in fuel prices is creating a huge obstacle for the industry, and consequently, the protesters pointed out that ice prices have grown and its too hard for them. The government has allowed more than 30 ships of the largest multi-national companies to fish in our sea, and the local industry is at risk due to this. While the government is attempting to cover up its crisis burdening the masses, raising prices for all goods and services. It is implementing the economic policies of destroying the local production economy and working people to enslave the multi-national companies. 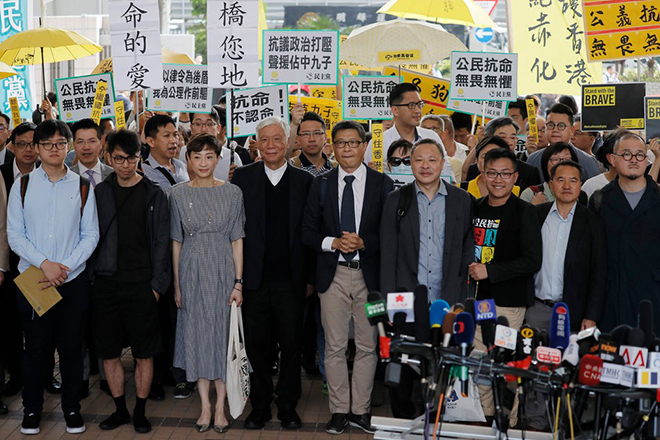 9 ‘Umbrella Movement’ Activists Convicted by the Hong Kong Courts! 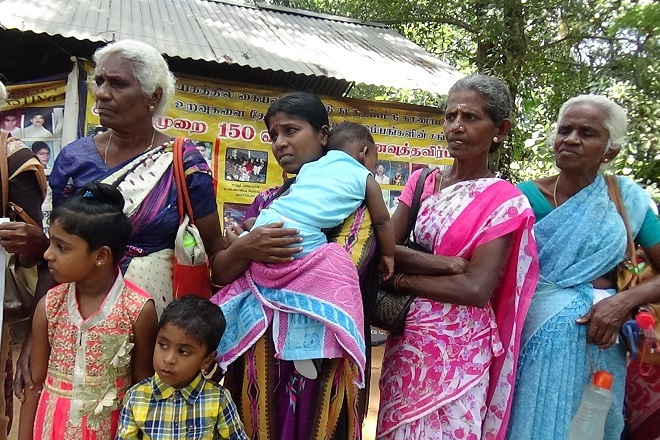 Two Protesters Arrested Over the Incident at Aruwakkadu Garbage Yard. 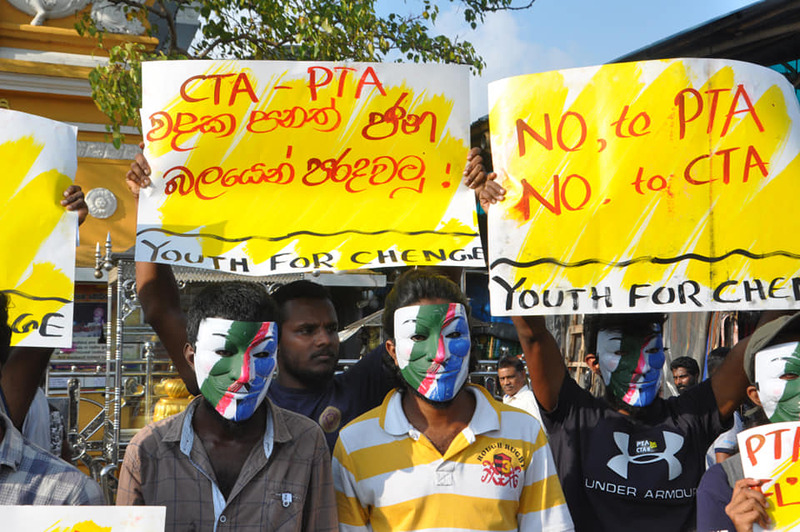 Oppose Counter Terrorism Bill that Targets to Suppress Peoples’ Struggles!